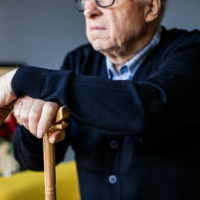 “Respect your elders.” This is something that most people are taught from a young age, yet, nursing home abuse continues to run rampant across the country, and especially in the state of Florida, as many elderly people choose to retire here. Sadly, elderly individuals are treated with neglect, lack of respect, and even violence in nursing homes. In fact, nearly one-third of all nursing homes have residents that are subject to abuse. Abuse includes but is not limited to malnutrition, physical abuse, sexual assault, psychological distress and financial exploitation. Sadly, only about 20 percent of those cases are ever reported. At The Pendas Law Firm, our West Palm Beach nursing home abuse lawyers want you to know your rights when it comes to nursing homes. If you or a loved one is the resident of a nursing home, it is imperative that you arm yourself with knowledge of the law so that you can protect yourself in the event that abuse or neglect does occur. The right to participate in the review of their care plan and to be fully informed when there are changes to be made in treatment or care. The right to receive 30 days’ notice of a challenge or discharge, and the opportunity to dispute it. If one or more of yours or your loved one’s rights have been violated, it is imperative that you contact a nursing home abuse lawyer right away. Chances are that you are not the only person whose rights have been violated in the facility. To put an end to nursing home abuse in West Palm Beach, victims need to stand up and fight back, by hiring aggressive legal representation to make sure that the perpetrators are held liable. Any injury or death that is unexplained or unexpected. Oftentimes, victims of nursing home abuse are too afraid to say anything, or are heavily medicated so that they will not say anything. In these instances, it is up to the victims’ loved ones to spot the signs of abuse and to take legal action. If you or a loved one is the victim of nursing home abuse, it is imperative to your safety and the safety of others that you obtain legal representation right away. At The Pendas Law Firm, our West Palm Beach nursing home abuse lawyers will help you voice your rights in court and ensure that the abusers are fired and the nursing home held liable for yours and others’ injuries. To speak with an experienced lawyer today, call 1-888-LPENDAS. The Pendas Law Firm also serves clients in the Tampa, Fort Myers, Orlando, Jacksonville, Miami, Daytona, Bradenton, and Fort Lauderdale areas.